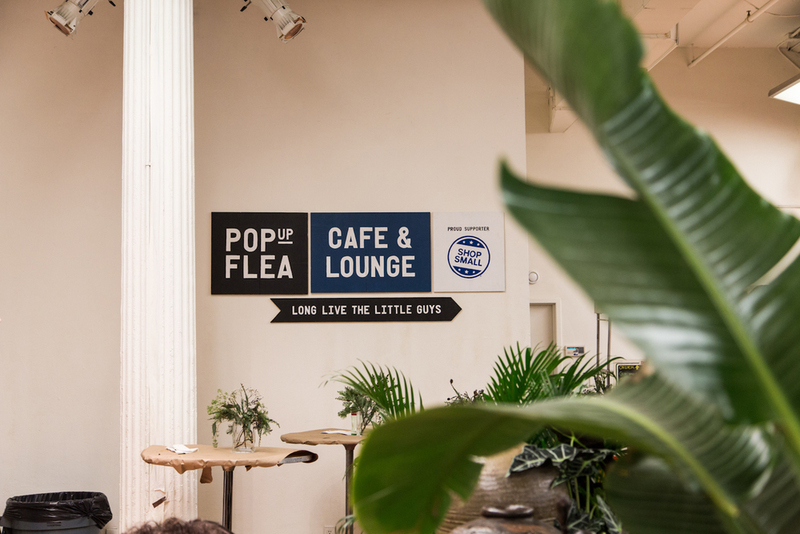 We had worked on the two previous Pop Up Flea events in London so it was a great honour to be asked by the organisers to come to New York for their biggest flea yet. The event was held at the prestigious Metropolitan Pavilion in Chelsea, New York. In 3 days they had 20,000 visitors to the high end menswear event featuring 70 brands including Levi's Made & Crafted, Redwing and Tudor watches. The inspiration for the event was based on Dazzle camouflage used on battle ships during WW1. 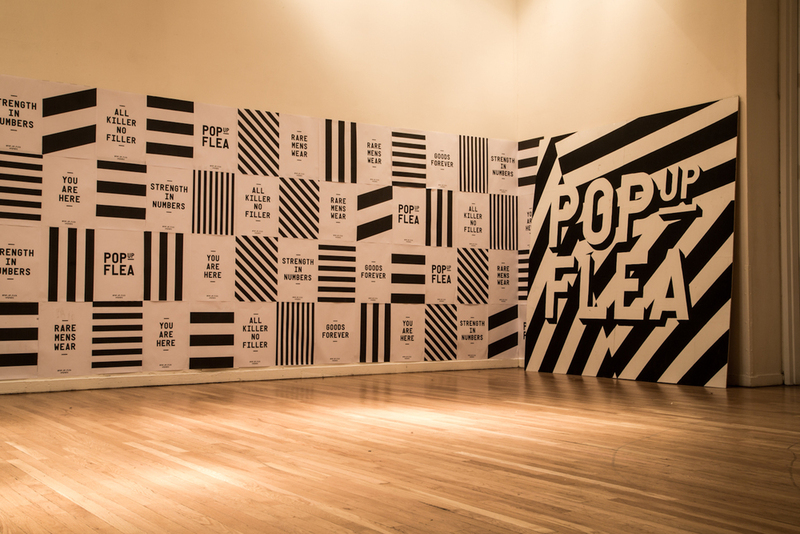 The aesthetic was made truly unique with the inclusion of punchy statements based on the ethos and sense of humour of the guys at PUF. We arrived in the big apple on the Monday morning with 4 days to hand paint all the signage for the event... it was a long 4 days! We screen-printed a series of posters that we tiled on walls and columns at the location to create large, impactful pieces. 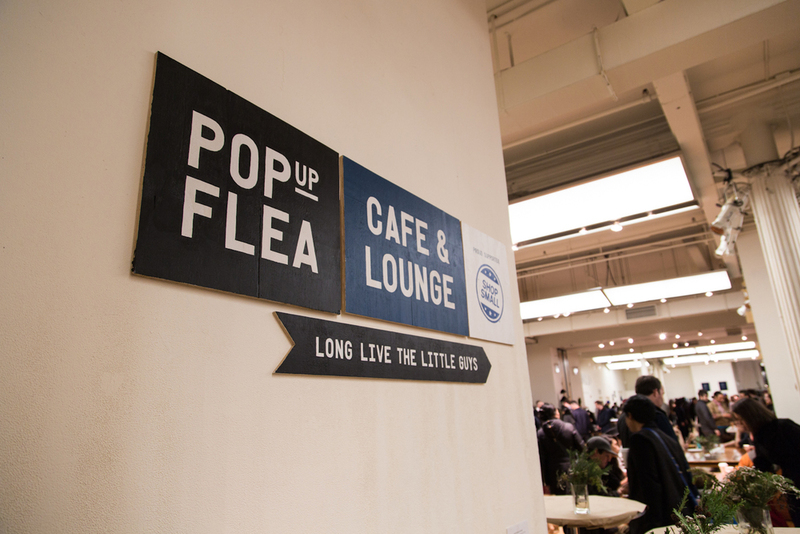 We also had a booth at the show where we hand-painted signs for visitors to take away.